Hanging around Venice, I discovered the Campo San Pietro..one of the oldest place that was an old convent before close to an old majestic cathedral along the water. 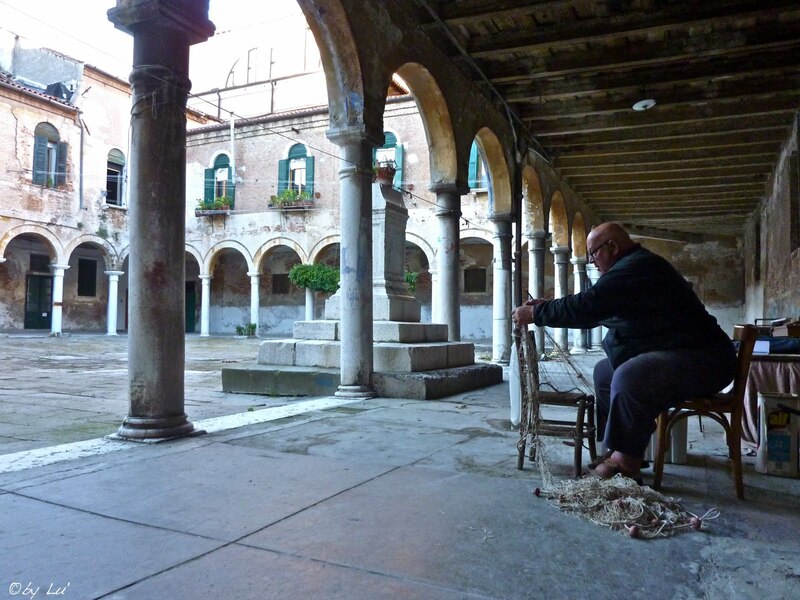 It is the only “campo” surrounded by grass in Venice – as Alberto il pescatore told me. so yes, .. there I met Alberto and spent 2hours with him discussing about our lives, sharing emotions&feelings and talking about the people, places, experiences we love. Woaw!! what a mellow moment it was! Alberto is retired but goes on working as a fisherman, a work to which he’s always dedicated his whole life. Alberto is also an opera lover..and I can tell he gives you goosebumps when he looks at you right in the eyes&starts singing opera songs. If you go there, you will find him during the day..and can ask him tp bring you on his small boat around the laguna, eat together real&fresh italian food while listening to him singing some opera. A unique way to discover Venice, you will live like venetians do live.